If you are redundant and have time on your hands, NaNoWriMo could be just the tonic you need, to get motivated, organised, energised, fulfilled and satisfied from the sense of achievement of writing that book you always wanted to write, but never had the time to commit to. Get entering to win now and follow Rochelle’s guide below to have a successful NaNoWriMo experience. 1. Sign up. Though you don’t have to officially sign up to participate, it’s going to be a whole lot more fun if you do. Visit the National Novel Writing Month site and create a profile. You’ll add author information and create your novel profile (don’t worry, no one will hold you to your working title). 2. Join your regional group. When you create your profile, be sure to specify your region. Your regional advisor (RA) will send you NaNoMail about virtual and in-person events. Your regional advisor will also let you know if your region has other ways of communicating, such as through a Facebook group or a Twitter feed. 3. Get yourself a Buddy or two. I’ve been doing NaNoWriMo for 5 years, but I didn’t win until 2009 when I got the support of buddies. Your buddies can be friends that are doing NaNoWriMo with you, acquaintances you meet at regional events, or strangers that you connect with on Twitter. Find ways to encourage each other (such as messaging on Twitter or Facebook). And you can count on this: nothing will get you inspired to write more like seeing how far behind or ahead of your buddies you are. 4. Ready, set, sprint! I’d never heard of writing sprints until I joined National Novel Writing Month. In a writing sprint, writers try to write as many words as possible in a set amount of time (such as 15 minutes). The one who amasses the most words wins. You can set up a writing sprint with a friend, at an in-person write-in or on Twitter using the hashtag, #writingsprints. 5. Write in, anyone? I’m a solitary gal: I like to exercise and write alone. But attending a few write-ins convinced me of the value of hanging out with other writers, especially when I am behind on my word count. The peer pressure keeps me in my seat writing. In addition, a group provides the opportunity to share ideas, tools, and do writing sprints. Plus, there’s always someone to watch your laptop when you need to run to the bathroom! 6. Prepare! If you want to succeed at National Novel Writing Month, make sure you do some pre-month novel planning. Create a group of characters that will sustain your interest for a month, design or borrow an intriguing setting, and give the characters a plot that will keep you awake and writing! If you need help preparing for the month, get together with some NaNoWriMo buddies for a book brainstorming party. Or, if you’re the solitary type, visit my blog. Every Wednesday since September 26, I’ve been sharing fun ways to prepare for the month-long writing challenge! 7. Get Your Bling! If you reach the coveted 50,000-word mark, don’t forget to collect your winner’s treats at the end of the month! Half the fun of participating in NaNoWriMo comes when you can collect your winner’s badges and post them on your Facebook profile. You’ll also get the opportunity to print out a winner’s certificate. Most regions also hold celebratory parties for the winners (and even the almost winners). Oh, and one final note: have fun. National Novel Writing Month is an opportunity to let down your hair and write with abandon. Go for it! If you haven’t done so already, don’t forget to enter the competition to win a signed copy of Write-A-Thon by clicking the Rafflecopter link, the competition closes on 26th Of November, good luck and keep writing. An enormous thanks to everyone who has taken part in the win a signed copy of Write-A-Thon competition, that is written by Author and Writing Coach Rochelle Melander. All entries have been amazing and it has been wonderful to read your comments, see your Likes and to interact with all of you. We have had an incredible 57 entries to the competition and in order to select a winner fairly, I let Rafflecopter make the decision by choosing a winner at random. 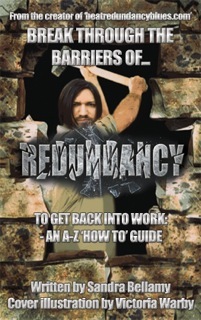 I know when I was made redundant, I saw it as an opportunity to live my dreams by taking my writing more seriously and getting some of it published. If you have ever thought that you have always wanted to write a book but never had the time, now is the time to seize the moment and just do it. Today we have a guest blog article by Author and Writing Coach Rochelle Melander and we are giving away a free signed copy of her book, Write-A-Thon, to one lucky person. All you have to do to enter the giveaway competition is to answer a few questions by clicking on the Rafflecopter Giveaway Link in the title of this post. In the meantime I will hand you over to Rochelle. 1. Train Your Writing Muscles. NaNoWriMo novices often end up like the proverbial weekend warrior, jumping into the month with gusto only to be grounded by injury (my aching neck) or discouragement. Schedule daily writing time throughout the rest of September and October. Write daily pages, craft poems, or do fiction-writing prompts—just get words on paper each day. By the end of October you’ll be a seasoned writing professional, easily able to amass 1667 words a day! As a bonus, you’ll have already created space in your daily schedule to write. 2. Create a Story Bible. Filmmakers and television writers make use of a show bible—a document that contains information about character, setting and plot. Take time to create your own Story Bible for your National Novel Writing Month project. In past years, I’ve used three-ring binders, spiral notebooks, and index cards to collect my ideas about character, setting, and plot long before the month starts. During some of your writing time each day, create histories for your characters. Collect photos of your setting. Sketch out several scenes. In the middle of National Novel Writing Month, you won’t have to wonder what your characters might wear or do— you will just have to consult your story bible. Your turn. What are you doing to get ready for the month-long novel writing challenge? Competition closes on Friday 28th September 2012.